Do we have the Right to Free Speech or just Compliant Speech? The Constitution of India, under Article 19, guarantees its citizens a fundamental right unalienable ‘Right to Freedom’. Although striving to provide expansive freedom of expression and conscience, the law (and its implementation), is still haunted by the spectre of the “Hate Speech Law” that the British had put in place prior to independence. Has this provision delivered on the lofty ideals that entranced the minds of its writers? Or have our institutions, the Indian state, and our collective tendency to self-censor severely throttled our freedom to express ourselves as we want to? According to the estimates of Reporters without Borders, India stands 138th in Press Freedom Index. The freedom of the press, although not stated explicitly in the Constitution of India, is implied by Article 19 (1)a. Notionally, the press has the freedom to access all sources of information, freedom of publication and circulation. There are, however, numerous incidents that stand testament to government intervention in the affairs of the media and press. Is this conducive to transparent functioning of the government? Is the fundamental right to express one’s views guaranteed in the Indian State? In recent times, social media is being used as a platform to spread fake news and motivated content. Two things are generally said in the defence of social media: That they are platforms that curate content, and hence do not carry the same responsibilities as traditional media companies, and that the content on their platform is user generated so they cannot control it as it would infringe on freedom of expression. Given this perspective, is it possible to curb the spread of fake news? And finally, is the freedom of expression in India absolute? There are some areas where regulation is needed and somewhere there is no need for any restriction. This discussion aims to draw the line between the need for regulation and the fundamental idea of freedom and identifying areas that need reforms in our judicial and political systems. 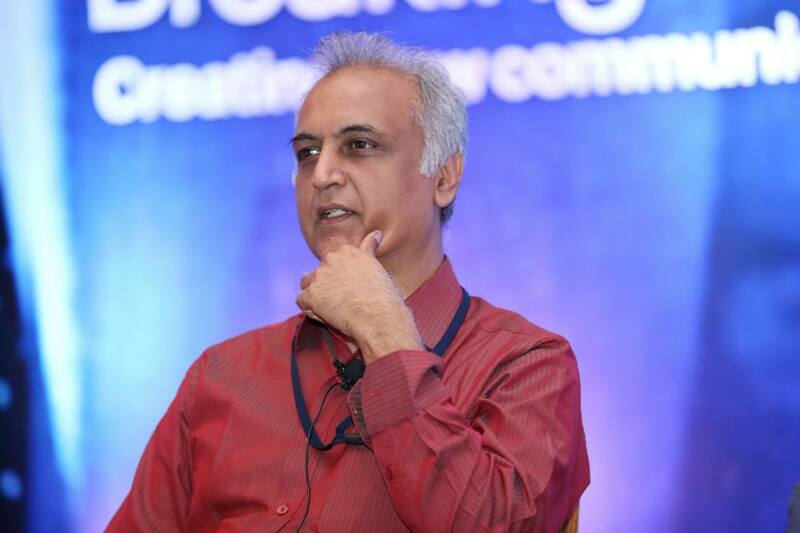 An editor, writer and columnist with more than 30 years of experience in both Indian and international environments, he has worked for respected media titles including Reuters, The Economic Times, Business Standard and Hindustan Times after starting out in the Times of India group. Having covered diverse topics including business, economics, public policy, politics, technology, diplomacy, entertainment and social issues as a correspondent, he is well versed with IT industry, media, internet, Indian policies, macroeconomics and social trends. His specialities include editorial and business strategy, writing and editing, communications and Internet communities, among a range of avenues. Mr Manoj Mitta is a New Delhi-based journalist focusing on law, human rights, and public policy. He has served as a senior editor at two of India’s leading newspapers, the Times of India and the Indian Express. He was also founding director of the Foundation for Media Professionals, which promotes media freedom and works to uphold standards of journalism in India. He has published two critically acclaimed books on sectarian strife in India, The Fiction of Fact-Finding: Modi and Godhra (2014), in which he questions the exoneration of Narendra Modi in the 2002 Gujarat riots, and When a Tree Shook Delhi: The 1984 Carnage and Its Aftermath, co-authored with H.S. Phoolka (2007). He has spoken at universities around the world, as well as at the British and Canadian Parliaments and the U.S. Congress. Following a year of primary research and interviews in the field, Mr Mitta is devoting his fellowship to drawing up his findings and writing a book, tentatively entitled The Bottom Layer: Impunity for Caste Violence, focusing on massacres of former untouchables and tribal members in India. As the Founder and National President of Justice For Rights Foundation, he has provided a platform of legal assistance to the needy and is known for working closely for upholding fundamental rights of our countries citizens, by helping them get educated regarding legal matters and to tackle legal hurdles. The Non-Profit Organization aims in enhancing people’s lives and to uphold the same he has engaged himself conscientiously in activities working towards the betterment of the society. In his professional career, he has worked towards defending constitutional rights exhibiting great legal expertise and professionalism. 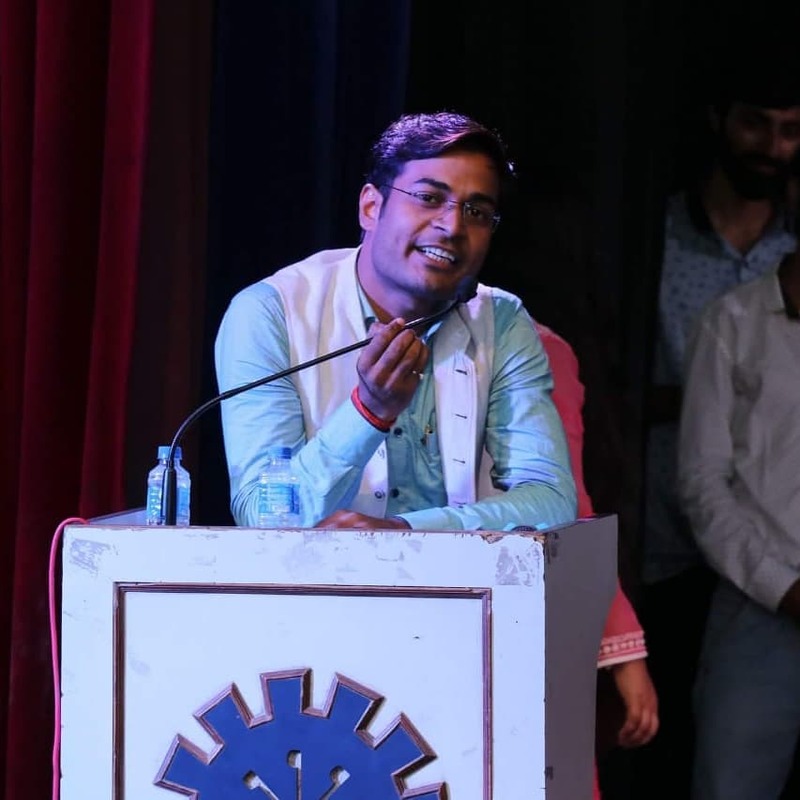 Mr Rajput's domain of work has a lot to relate to when it comes to freedom of speech and censorship rules in the country, combined with working for the welfare of paramilitary martyrs' families and prison reforms. Dr Sudhir Krishnaswamy is a co-founder of the Centre for Law & Policy Research (CLPR) and a faculty member at the Azim Premji University. He was also the Dr B.R. Ambedkar Visiting Professor of Indian Constitutional Law at Columbia Law School. Post his graduation from the National Law School of India University (NLSIU), Bangalore, Dr Krishnaswamy read the BCL and obtained a D.Phil. from the University of Oxford. 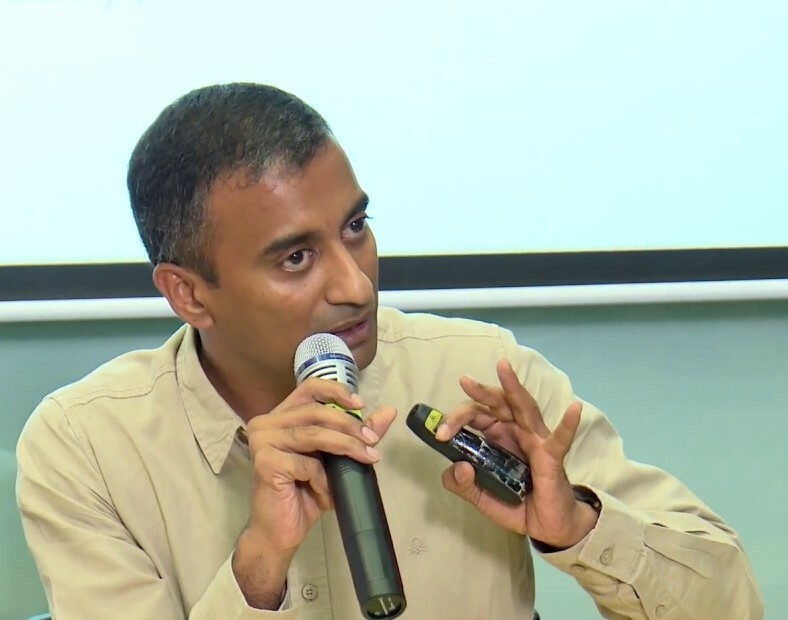 He has been a Teaching Fellow in Law at the Pembroke College at Oxford University, an Assistant Professor at NLSIU and a Professor at the West Bengal National University of Juridical Sciences, Kolkata. In the past, he has also worked in the Prime Minister’s Committee on Infrastructure and the Kasturirangan Committee on Governance of Bangalore. He has authored a book titled ‘Democracy and Constitutionalism in India’, published by the Oxford University Press in 2009. His main areas of interest are constitutional law, legal education, legal theory, intellectual property law and administrative law. A print media journalist for over two decades, since 2004 he has worked as a freelance journalist with no formal attachments to any media organisation. He has worked in areas of science and technology, economics and current political affairs. Additionally, he has held a year-long visiting professorship at the Jamia Millia Islamia in Delhi and worked seven years as South Asia programme manager for the International Federation of Journalists. He has published research papers on the media industry, contemporary politics and worked in the area of conflict analysis, both domestic and global. As a fellow at the Indian Institute of Advanced Study (IIAS), he worked on the Indian planning experience and in particular on modes of theorising on ways that technology could be harnessed to developmental goals. From working as the National General Secretary of the People's Union for Civil Liberties (PUCL), where he has played a pivotal role in refining legal principles drawn from comparative law to advance human rights work, to being appointed by the Supreme Court of India as the Advisor for Food Security, he holds valuable experience in myriad domains concerning people's policies and general administration. He has further worked in numerous projects advocating transparency and integrity from governments and businesses alike. Additionally, he has collaborated with the TNI Water Justice Project and serves as the Director of the Centre for Law, Policy and Human Rights Studies. 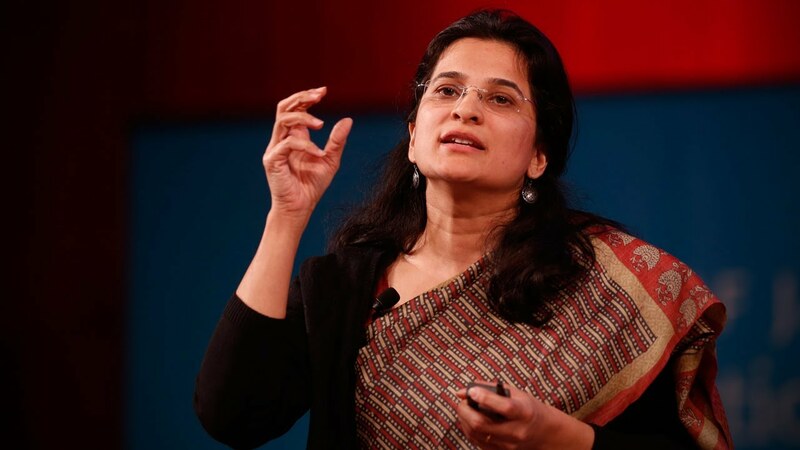 A Lady Shri Ram College and Oxford University graduate, Anjali Bharadwaj is the founder of Satark Nagrik Sangathan (SNS), a people’s group based in Delhi that has been working since 2003 to build an empowered and vigilant citizenry based on the right to information. Anjali’s conviction that information is at the root of bringing about real change led her to the Right to Information movement. SNS started working in Delhi’s slum settlements and broke new ground by making RTI a truly potent tool in the hands of the urban poor to claim their right to water, electricity, sanitation and education. She is a Working Committee Member of National Campaign for People’s Right to Information (NCPRI), a platform of individuals and organizations that led the right to information (RTI) movement culminating in the passage of the RTI Act 2005. Additionally, she is a leading member of the Right to Food campaign, advocating universalization of the public distribution system, right to work, land reform and social security. Have you ever yearned to spend some time with inspiring and distinguished people to get a glimpse into their lives? Pragyan brings to you the Closed Room Interaction Session. Grab your chance to interact and pose questions to Dr.Spyridon Michalakis, Dr. Crystal Dilworth and Dr. Frederick J Raab. Fill the questionnaire given in the link below to register for the interaction. You are also requested to not indulge in photography/videography of any kind and that the interaction with the guest remains behind closed doors.